Prof. Efraim Inbar believes the Israeli attacks in Syria will continue. "Our duty is to prevent Iranian establishment in Syria." Professor Efraim Inbar, president of the Jerusalem Institute for Strategy and Security, told Arutz Sheva on Monday that Israel's attacks on Iranian targets in Syria and it stopping its policy of ambiguity regarding its actions in Syria were intended to send an unequivocal message to Tehran. "Israel is determined to prevent the Iranian military establishment in Syria. We want to prevent the establishment of missile delivery bases and the construction of additional bases that will strengthen the Iranian presence in Syria. Israel learned the lesson from Lebanon when Iran armed Hezbollah with thousands of missiles. Today we want to prevent a similar situation in southern Syria," said Inbar. 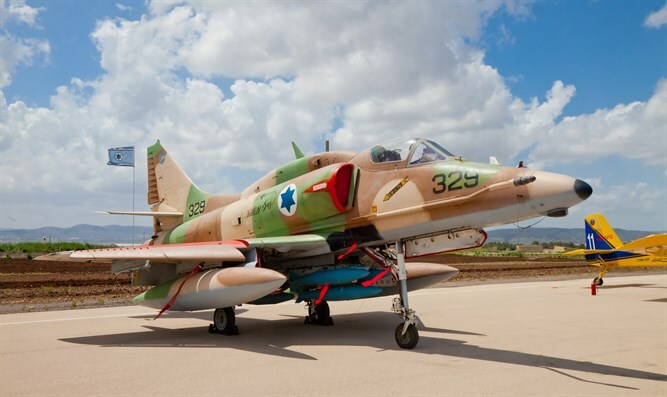 The rocket fire at the northern Golan Heights was an Iranian attempt to deter Israel, he continued. "They are trying to charge a price for our military activity and the IDF's fight against the establishment of the Iranian military infrastructure in Syria, but it will not deter Israel." Professor Inbar stated that despite the Russian presence in the region, Israel will continue to act against Iran. "There is no doubt that the Russian military presence in Syria restricts Israel, we are not flying in Syria's airspace but rather operating from outside. Israel is not interested in a clash with Russian forces, but Israel will continue to act because this is our security we are talking about." "Our assumption of responsibility for the attacks in Syria conveys a message of commitment to continue this activity. It may also be related to the withdrawal of the American forces from Syria," he explained. Professor Inbar expressed hope that Israel’s activities in Syria will achieve the desired results. "I think we can reduce the Iranian presence in Syria. They invested a lot of money in this, they want to create a corridor to the Mediterranean and make Syria their base. The IDF will do everything to ensure that won’t happen."